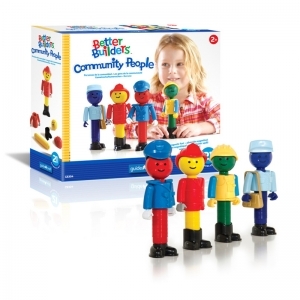 Better Builders® Career People and Community People sets feature the magnetic fun of the original ball and rod with colorful faces, uniforms, and personalities! 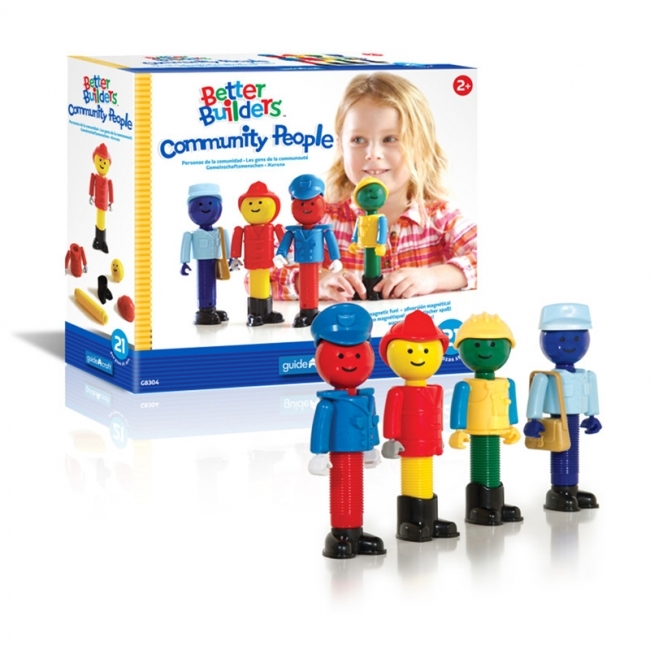 With four characters in each set, the Better Builders® People combine multiple facets of play-- color, matching, construction, and dramatic play, as they coordinate with all original Better Builders® sets (see pages 8 and 9). Create a Better Builders® world; construct buildings for the Community People, tell stories with the Career People, and learn about the roles they play in our communities. 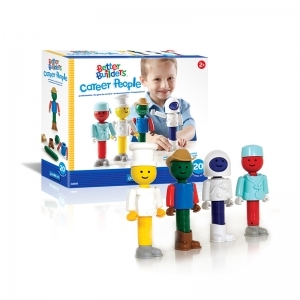 The Better Builders® Career People include an astronaut, doctor, farmer, and chef, and the Community People include a police officer, fire fighter, construction worker, and mail carrier. 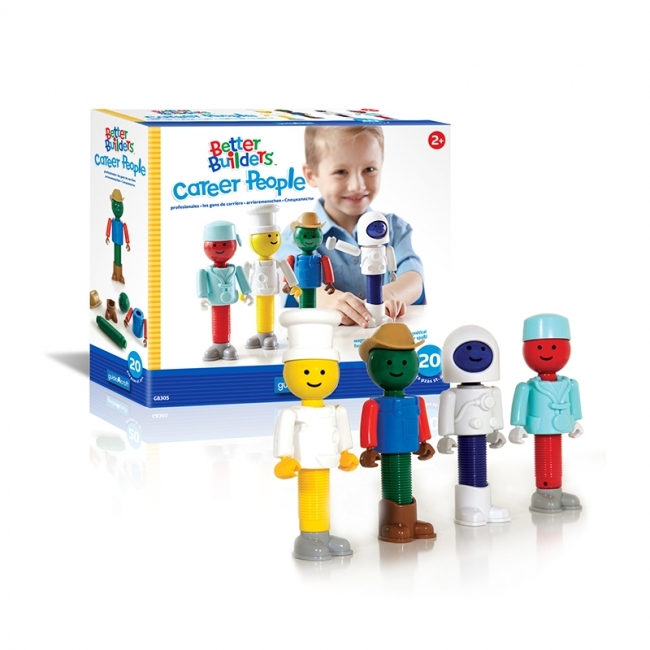 Each set includes a red, yellow, blue, and green ball and rod body. For ages 2+. 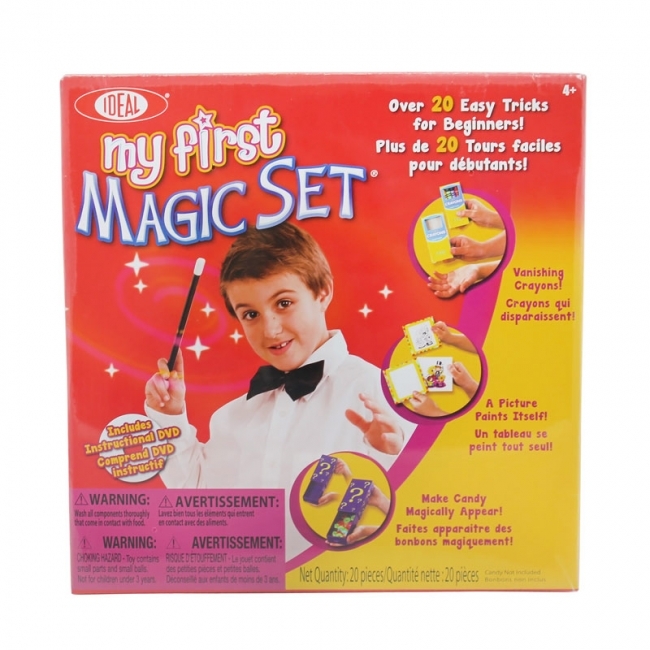 Each measure approximately 3"W x 1.75"D x 7"H.
Designed with a little hands in mind, this set builds confidence of young magicians with great, easy-to-learn tricks. Make Candy appear in an empty box! Watch a picture magically paint itself! Amaze your friends with disappearing crayons!....and more. Includes high quality magic components and the My First Magic DVD. For ages 4+. The Lovable Toy Story Dog in Retro 1950's Style Packaging! Take him everywhere you go! 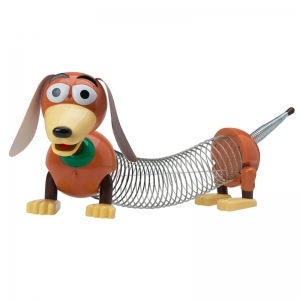 His Slinky body lets him walk and wiggle across the floor! For ages 18 months+.